Habbu & Park will provide the legal and practical solutions you need to meet your objectives. To address potential legal problems in all of our practice areas, with our combined experience of over 40 years we will successfully lead you through use of appropriate warning letters, direct negotiation, mediation, arbitration, or litigation. We provide cogent counseling and comprehensive and effective transaction services as well, including efficient, thorough, and effective visa processing. Jeff Park has over 18 years of experience in employment and contract matters to guide you through sticky and complex legal issues. Hemant Habbu has over 22 years of practice experience both in the US and India, and draws on such experience to design strategies and develop solutions to difficult legal issues. We will meet your corporate and business needs and give you peace of mind with our broad spectrum of services, from business formation and contract drafting to resolution of complex contract issues. 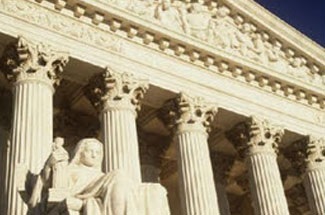 Through the conviction and skills of our experienced attorneys and staff, our clients have obtained excellent outcomes. We provide legal advice and representation to clients in San Jose, San Francisco and communities throughout the Bay Area to avoid or minimize employment problems and when they find themselves facing difficulties, to achieve their desired outcomes. Here are some of our practice areas. In matters of employment, business, immigration, and corporate law, our firm has helped clients avoid pitfalls and achieve their desired objectives. If you have a legal issue or question in any of the various areas in which we practice, we encourage you to contact our office right away to give yourself the legal support necessary to be successful.